At any given time, there are 100-150 individuals and families on our wait list, anxiously waiting for home-delivered, medically tailored meals. This unmet need grows while our current facilities cannot meet the demand. 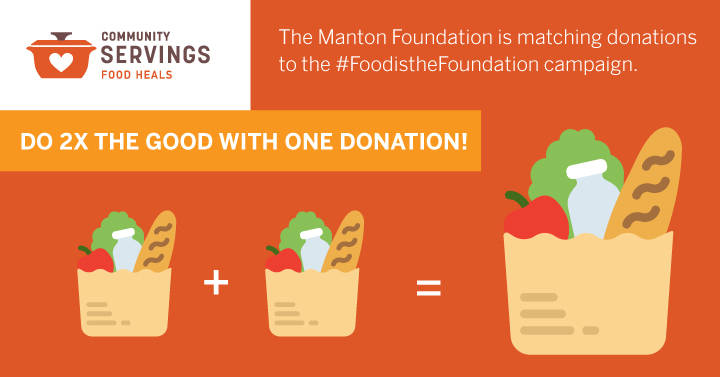 Our Food is the Foundation campaign will bridge this gap between need and service. At this time next year, we’ll be in a new building, making three times the number of medically tailored meals that we’re currently able to produce. But we need your help to make this dream a reality. Give today, and family foundation will match your gift, dollar for dollar. All gifts made between now and December 31st qualify for the match!